To help nephrologists determine whether compensation is the best it could have been this year, the Renal Physicians Association has published its biennial nephrology business survey results in an interactive tool. 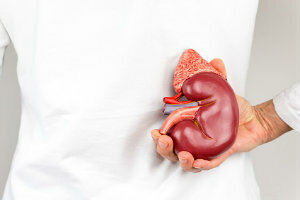 The tool “helps practices identify areas of excellence and those that can be improved upon in ways not previously available,” according to Nephrology News & Issues. The survey found many practices have seen an increase in patients and they rely more heavily on advanced practitioners to provide this care. The partnership will expand dialysis services in southern New Jersey. Services will be provided at centers in Bridgeton, Millville and Vineland. The collaboration provides those with kidney failure access to dialysis and advanced kidney care treatments at eight new kidney care centers in Baltimore and surrounding areas. It also includes Maryland’s only center dedicated to treating children with chronic kidney disease. A study in the Journal of the American Society of Nephrology found 20 minutes of walking per day at low to moderate speeds improved physical and mental functioning of dialysis patients. An analysis of seven studies found a diet high in vegetables, fish, legumes, cereals, whole grain and fiber but low in refined sugar, red meat and salt reduced rates of early death. It also found that the dietary restrictions CKD patients are advised to follow — like restricting potassium, protein and sodium — surprisingly may have limited effects on reducing premature death.